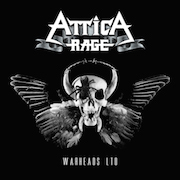 ATTICA RAGE was formed by Ayrshire brothers, singer/guitarist Jonny Parr and drummer Richie Rage in Glasgow, Scotland in 2003. Coatbridge guitarist Stephen Bell joined in 2007 and the line-up is completed by bassist Colin Wilson from Bellshill, who joined in January 2012. 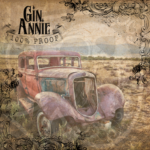 They are currently promoting their critically-acclaimed second album ‘Road Dog’ with a new album planned for release later this year with UK & European tour dates. Following an early demo in 2004 and their 2005 ‘In Concert with the Mirror EP’, Attica Rage spent the next two years developing their sound on the local gig circuit, landing supports with British metal icons Saxon, Diamond Head and Blitzkrieg as well as Armored Saint (with ex-Anthrax vocalist John Bush), Betzefer and bizarrely, two dates with Mark E. Smith & The Fall. October 2008 saw the release of debut album ‘Ruin Nation’ on the band’s own label Vanduara Records. The album was recorded and produced by Big C, mastered by Ace of Skunk Anansie and features artwork designed by iconic Motörhead artist Joe Petagno. The track ‘Dark City’ was released as a download single (with a bonus cover of Motörhead’s Overkill) and video, charting at #1 on the TuneTribe Metal Charts and #2 on the Download Charts. Ruin Nation was named ‘Album of the Month’ in Music News Scotland and Metal Hammer magazine and album track ‘Attica Rising’ was also featured on a Metal Hammer cover-mount CD. Attica Rage spent 2008 and 2009 promoting Ruin Nation with UK headline shows and several festival appearances including the Download Festival Boardie BBQ, Donington; headlining Vunkfest in Shetland and two consecutive years at Metalcamp in Slovenia (Stage 2 in July 2008 then opening the Main Stage for Testament and Blind Guardian in July 2009). A success story developed with the Hard Rock Hell and Hammerfest events in Prestatyn, Wales – starting off on the Young Blood stage at Hard Rock Hell II; then opening Stage 2 at Hammerfest and returning to HRH III later that year (including an infamous gig in a competition-winner’s chalet!). By December 2009, Attica Rage had signed a management deal with John Davis. 2010 saw the writing and recording of a new album and live highlights included a UK tour supporting Die Apokalyptischen Reiter; opening for Jorn Lande; the HRH Road Trip Ibiza festival and, significantly, performing to 1500+ audiences with Main Stage debuts at Hammerfest II and Hard Rock Hell IV. 2011 kicked off with a sold-out show at the London Relentless Garage with Australian rockers Grinspoon and shortly after, Attica Rage signed to Rocksector Records in February 2011. The deal was signed live on-air on 96.3 Rock Radio (now Real XS) in Glasgow, with DJ Tom Russell present as witness. Second album Road Dog was launched with a live main-stage showcase at Hammerfest III and was officially released on 4 April 2011. Road Dog was produced, engineered and mixed by roddymacaudio in Glasgow, Scotland and mastered by Mike Tucci at Masterdisk, New York, USA (Metallica, Ozzy Osbourne, Nirvana, Pearl Jam). A more diverse collection than their previous releases, the album contains 14 tracks of classic hard rock grooves and metal riffs; powerful ballads and blues-infused biker rock. The song ‘Through the Inner Eye’ was selected as Classic Rock magazine’s Track of the Day; album opener ’36 Insane’ appeared on a Metal Hammer magazine cover-mount CD and Road Dog was a featured ‘Album of the Week’ on Total Rock radio. Since release, it has received excellent reviews and high ratings from the music press, media and fans alike. Road Dog was a short-listed nominee for ‘Metal Recording of the Year’ and ‘Best Album Artwork of the Year’ in the Scottish New Music Awards 2011. Other festival highlights included Rock For Funds in Glasgow, helping to raise over £4000 for the Yorkhill Children’s Foundation; SOS Fest in Manchester; HRH RoadTrip in Ibiza and most notably opening the Metal Hammer stage to thousands of fans at the High Voltage Festival in London, sharing the bill with metal legends Judas Priest, Dream Theater, Slash and Thin Lizzy amongst others. This was followed by a 12-date UK headline tour including their first visit to Northern Ireland and a special Glasgow homecoming show where they performed the Road Dog album live in full, accompanied with guest musicians Dave Arcari on slide guitar, Christie Connor-Vernal on cello and Steve Lightbody on keyboards. The full set was filmed for a future DVD release. The show was opened by special guests and NWOBHM pioneers Praying Mantis. In November 2011, Attica Rage parted ways with long-term bassist Big C who decided to leave due to personal commitments. The band completed the year with a short UK tour as special guests to Die So Fluid and further headline dates in December with stand-in bassists Mark Marshall and Colin Wilson. Colin Wilson joined Attica Rage as the new bassist in January 2012. Off Yer Rocka Recordings launched Road Dog on a worldwide digital release, complete with two bonus live tracks recorded in Glasgow during the Road Dog UK 2011 tour. The launch was accompanied by a music video for the track ‘Ashamed’, directed by Colin Wood. In June, Attica Rage performed at the Metal Hammer Golden Gods 2012 awards pre-show party on board the HMS Hammer along with Shadows Fall, Fozzy, While She Sleeps, Evil Scarecrow plus fans, media & industry as it sailed along the Thames River towards the main awards venue at the 02 Arena in London. This appearance was preceded with various headline shows in England as well as another flying visit to Ibiza for the HRH Road Trip. In August, Attica Rage headline the Area 81 stage at Europe’s loudest biker party, the Bulldog Bash, before they return to the studio to record the new album. The follow-up to their critically-acclaimed second album Road Dog, the new album was once again produced and mixed by roddymacaudio at Titan Studios West in Glasgow, Scotland and mastered in New York, US by Michael Tucci at Masterdisk (Metallica, Ozzy Osbourne, Nirvana, Pearl Jam). 88MPH is a diverse collection of hard-hitting biker rock anthems, grinding blues-infused metal riffs and searing ballads featuring Jonny Parr on lead vocals and guitar; Richie Rage on drums; Stevie Bell on lead guitar and new member Colin Wilson on bass and vocals. The album also features guest appearances by Lanarkshire-based singer Emma Nailen and Attica fan Marko Duckworth, who landed the task of battering a beer keg with a baseball bat! 88MPH will be officially launched by the band at Hard Rock Hell VI festival in Pwllheli, North Wales on 30 November 2012, including an album signing session and a fired-up, full-throttle live showcase, sharing the weekend bill with headliners Ace Frehley (KISS), Testament, Sebastian Bach and Buckcherry. The album launch continues the following weekend with two ATTICA RAGE headline shows at Glasgow Classic Grand on Friday 7 December and London Nambucca on Sunday 9 December. 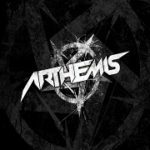 Special guest supports for these shows are label buddies and Italian metal maestros Arthemis. ATTICA RAGE have toured continuously over the last few years building a strong army of fans – Clan Attica – taking their distinctive biker rock n’ metal sounds across the UK & Europe at headline shows and festivals including High Voltage, Hard Rock Hell, Bulldog Bash, Hammerfest, Metalcamp, HRH Road Trip Ibiza and Download Festival Boardie BBQ party. They have supported bands such as Saxon, Diamond Head and Die Apokalyptischen Reiter and have shared billings with Judas Priest, Dream Theater, Slash, Anthrax, Thin Lizzy, Black Label Society, Down and Skindred, amongst others. In summer this year, ATTICA RAGE performed at the Metal Hammer Golden Gods 2012 awards pre-show party on board the HMS Hammer boat along with Shadows Fall and Fozzy plus hundreds of fans, media & industry as it sailed along the River Thames in London towards the 02 Arena. Attica Rage also contributed a cover version of ‘Killer of Giants’ on a US-released Ozzy Osbourne tribute album and are currently completing work on a 3-year documentary and live concert film DVD with director Colin Wood. 2013 will see ATTICA RAGE on the road promoting 88MPH with UK and European tour dates.